This throttle linkage kit makes it easy to set up your Sprint car fuel injection throttle pedal. 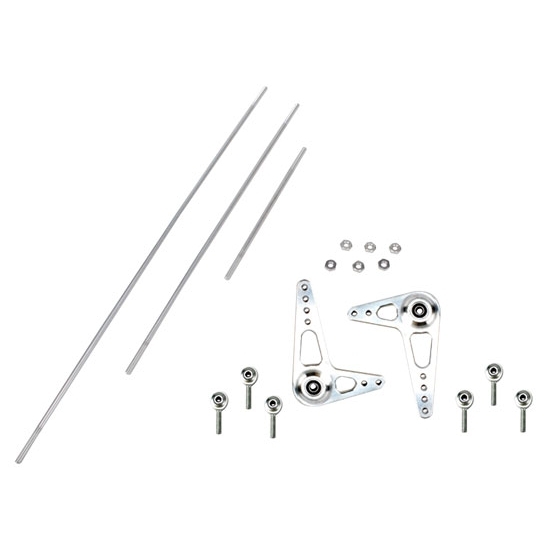 Kit includes 2 bellcranks, 3 linkage rods, and 6 steel heims with nuts. Components are made from 6061 aluminum (unless noted). Available for Eagle, Maxim or J&J Sprint car chassis.